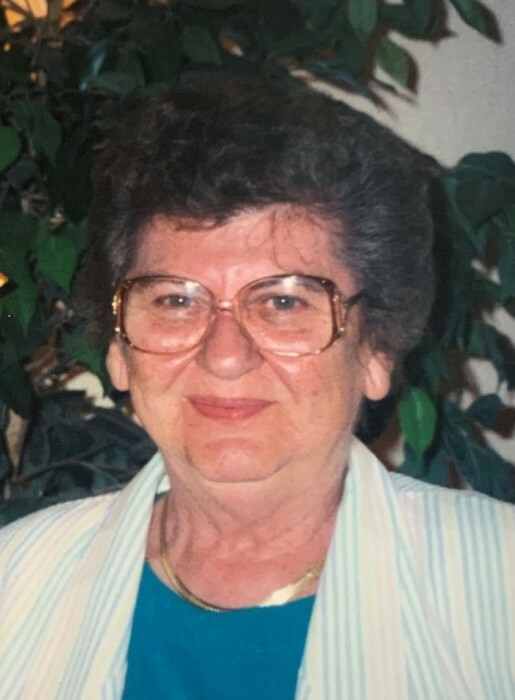 CHICOPEE- Theresa (DeForge) Pielka, 87, of Chicopee, passed into eternal rest after a brief stay at Wingate at South Hadley on Sunday, January 27, 2019. Born in Chicopee on February 6, 1931, she was the daughter of the late Arthur and Viola (Maziarz) DeForge. She worked in various factories throughout her life as an assembler. She retired from Microtech in 1996, where was proud to teach assembly to the developmentally disabled. In her spare time, Theresa enjoyed camping, cooking, knitting, sewing, and rooting for the Red Sox. She was predeceased by her husband Edward Pielka Sr. in 1977, as well as her siblings Edward DeForge, Connie Moreau, and Gerald DeForge. She will be dearly missed by her children, Edward Pielka Jr. and his wife Lora of Seekonk; Chris Gilrein and her husband David of Chicopee; her grandchildren, Kristen Bennett and her husband Eric; Trisha Gilrein; Tracey Kry and her husband Nas; Edward Pielka III and his wife Kimberly; her great-grandchildren, Violet, David, Landon, Kaia, Harper, and Marin, as well as many extended family and friends. A Liturgy of Christian Burial will be held on Thursday, January 31, 2019 at 11AM in St. Anthony of Padua Church, 56 Saint Anthony St, Chicopee with the Rite of Committal and Burial to follow in St. Stanislaus Cemetery, Chicopee. Donations in Theresa’s name may be made to Western Mass Elder Care, 4 Valley Mill Road, Holyoke, MA 01040. For more details please visit www.brunellefuneralhome.com.